We are definitely in an age in which less and less “bestseller” lists are being put out and more and more “best app” lists are popping up. There is no doubt times have changed, and why not? Technology is a beautiful thing; it can be so helpful and create a lot of much needed short-cuts in the craziness that is everyday life. So with the Launch of own very own KFS app, we decided to round up a list of our favorite and most useful apps. Some obvious ones like Instgram, Facebook, and Songza-you won’t find on this list. We trust you have heard of these and we want to show you something new…like our app! 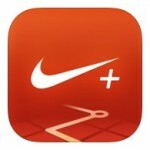 Sean: Nike running 2.0-The Nike+ Running App tracks your runs and helps you reach your goals — whether it’s running your first race, or setting a new personal record. From first-time runners to marathon veterans, you’ll get the measurement and motivation you need to run farther and faster than ever before. Welcome to the world’s greatest running community. 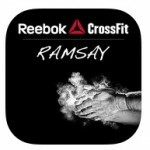 Paul: Reebok crossfit Ramsay– the core crossfit app, providing W.O.D. and tips for the true crossfit fanatic. The app now reloads it’s data at regular intervals, shows an awesome looking title screen, and gives better feedback if there isn’t a WOD for that day. Paula: MonthPal -If you are tired of seeing “your period is 100 days late”, or “period day: -50” in your period tracker every time you forget to update, 123 Period Tracker is what you need! No resetting any more – even if you missed a few months, or you’ve changed the time on your iPhone, your period won’t mess up, and you will be reminded to fine tune it. Super user friendly and a mature design. 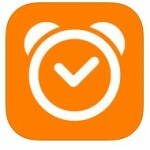 Marina: Sleep Cycle– Waking up made easy. An intelligent alarm clock that analyzes your sleep and wakes you in the lightest sleep phase – the natural way to feeling rested and relaxed. Sleep Cycle helps millions of people to wake up rested!ng up made easy. Featured in: CNN, Wired, The Guardian, The Wall Street Journal, BBC, The New York Times and many more. 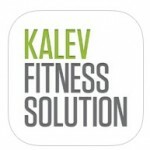 Kalev fitness solutions: Download the Kalev Fitness Solution App today to plan and schedule your next Appointment! From this iPhone App you can view appointments, schedule appointments, view ongoing promotions, as well as view the studio’s location and contact information. You can also click through to our Facebook and Twitter pages! Optimize your time and maximize the convenience of signing up for classes from your iPhone!